Thank you for visiting us on the Web. We`re glad you came! 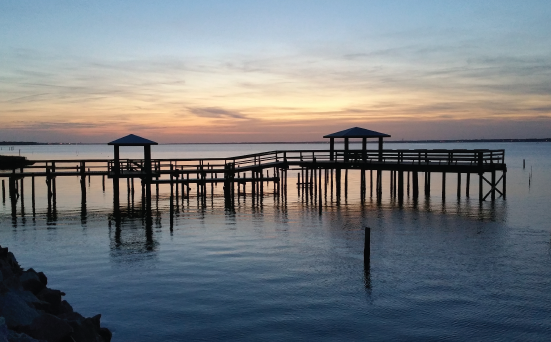 Oceanfront Court is a family oriented, recreational park in the center of Bogue Banks island. The property extends completely across the island from the sound side to the ocean. For our families we have a large ocean deck with steps to the beach and a sound side pier, dock, shelter, playground, picnic benches and a boat ramp permitting sound access. The dwellings in the park are manufactured homes, travel trailers or park models. We can provide an onsite walk through of any homes listed by the Office. Our current listings are available here. A great place to spend a week! We have five beautiful Oceanfront mobile home rental units overlooking the Atlantic Ocean. Copyright (c) 2019 by www.oceanfrontcourt.com. All Rights Reserved.